Communication technology now encompasses every aspect of an organization. Our mission is to provide you with the knowledge, the vision, and the solutions to meet the demand for communication technology. Gone are the days of operating costly infrastructure for your communication platforms. 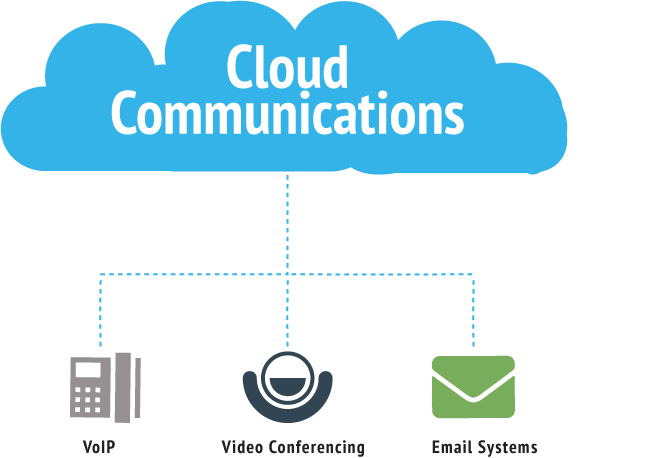 Cloud Communications are here, and are reliable and more cost efficient than ever before. Provides you with a complete organization communications solution. Enable employees to stay productive wherever they go with our cloud-based VOIP phone systems. Allows you to communicate with whoever you need, wherever they or you are located. Improves collaboration by providing a quality communication option. Performs much more than basic emailing functions. Supplies users with all the tools necessary to envision, create, and share business documents with a sophisticated and intuitive platform. "Pine Cove Consulting has enabled our organization to seamlessly connect to our 12 different chapters, spanning two states and thousands of miles, with their dependable and reliable cloud video communication solution. This has been a game changer for our connection with our remote booster sites." View our Cloud Communication Blog Posts!